A job well done is its own reward, but it’s extra special when we hear it from our valued customers. Your hand written notes, emails and online reviews are appreciated! House was struck by lightning. Jameson came in and checked all electric and grounds. Jessy, the electrician, was on time, polite, explained everything he was doing, and was very thorough. 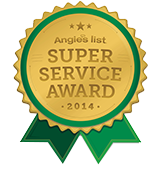 Jim Sr. and Chris arrived to perform the work and we were immediately impressed by their professionalism. It turns out the electrical was in worse shape than we originally thought and Jim Sr. explained why we were probably going through light bulbs like crazy. 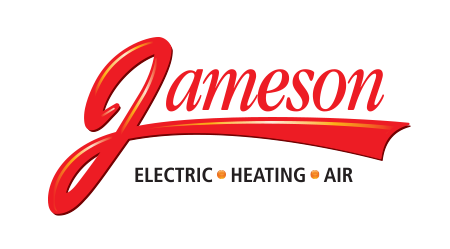 I would definitely use Jameson Electric again if the need arises and HIGHLY RECOMMEND them. Everyone, from the office staff to the electricians, were extremely friendly and professional. The initial call to the office to set up the appointment went well. The staff (sorry I can’t remember her name) was polite and efficient. On the day of the appointment the electrician, Chris, called the house and arrived promptly. He was polite, professional and attentive. I reviewed the problem with Chris, and asked while he was there to provide estimates on two other projects. He went right to work evaluating the situation and was able to give me an idea of what he would need to do with a cost for the first breaker outlet problem. He was able to correct the problem in a timely manner and during his work would give me updates. He found two problems – the first was the wiring to the outlet, and the second was reversed wiring to another receptacle. I have not had a problem with the bathroom electricity/receptacle since the correction. Thanks Chris. Technician, Kevin, discovered our unit needed service, was upfront with cost and stayed until he was confident the air conditioning was working properly. Very friendly! Jameson’s man, Will, showed up ON TIME (actually five minutes early!) to perform four tasks we needed done. We had purchased the two-hours-for-$99 deal and we had zero hope all things would be done in that time so I had set aside some cash to make up the difference. The first thing was installation of a ceiling fan. We were also under the gun time-wise as we had a carpet installer coming that we did not get notice of until the day before the electrical service appointment. Will got the ceiling fan installed in very good time and, in fact, finished just as our carpet guy showed up. The second thing was replacement of a dimmer switch. Will had it done in no time. Third was removal of a busted outside light and replacement thereof with a new one. Lickety-split, Will was with that, as well. Then we thought we needed another outside light fixed but it turned out it was we who were dim, the light was just off kilter, not broken. Will straightened us and the light out and was even tactful about my stupidity. At the end of it all, Will had everything done in exactly two hours!! So I was not out-of-pocket any money other than that which I had already spent. Sweet!! Will wouldn’t accept my tip, despite my insistence. Suffice it to say: I recommend Jameson; if I need electrical again in the future Jameson will be the only place I call. Send this information M-F from 7am to 5pm and we'll call you to complete the details of your appointment. Save money with our online coupons. Special offers and discounts for our website visitors. 24/7/365 emergency repair services for electrical, heating and air conditioning problems. You call and we’re there! We serve the Buffalo, NY area and surrounding communities. Here’s the NY state areas we serve.